BATTLE CREEK, Mich. --- Campaigners against women's ordination are struggling with a simple yet annoyingly inconvenient reality: Ellen G. White's gender. "We do our best to seek Ellen White's counsel in all things but this women's ordination fiasco would have been so much easier if God had sent us a man as a messenger instead," said lead campaigner Manny Mansome, bemoaning the "whole woman co-founder thingy" that plagues efforts within Adventism to permanently block the ordination of women. "The Mormons have it easy with Joseph Smith," said Mansome. "We poor Adventists, however, are stuck with a woman that even Smithsonian Magazine identifies as one of the most influential Americans of all time. Kinda hard to write off her leadership abilities." Mansome says that he cannot, for the life of him, understand why God showed Ellen White her visions when she clearly wasn't a male or the head of her household. "What was God thinking?" asked an exasperated Mansome. "Couldn't He just have given Joseph Bates the visions? What about James White for that matter?" Mansome said that he and his colleagues, convinced as they are that a woman's place is in the home, are also really struggling with Ellen White's 19th century mobility. "She just couldn't stay put!" complained Mansome. "She criss-crossed the country with this manic relentlessness and even went continent hopping. I have no idea how she had time to write." Although Mansome admits that Ellen White is a major obstacle to overcome he says that "ordination has been, is and needs to continue to be an old boys' club initiation ritual for church heavy weights. We can't have girls crashing the party." I hope all the good ol’ boys get to read this! The idea that women shouldn’t be ministers or pastors or priests because some guy who lived and died 2,000 years ago (not Jesus) had something against women and said they shouldn’t is one of the silliest notions in history. And it implicitly states, loud and clear, that the religions that have problems with the ordination of women believe that women are inferior to men. even though they won’t admit it, not even to themselves. Women in generalbhave already been ordained by God for the gospel ministry! Biblical ordination is the ordering of ones work for a specific purpose within the body of Christ. Women certainly have a well defined work. Women at some point in life have ordained rule over 100% of the church of tomorrow as children up to adulthood, older women have ordained rule over younger women to teach them how to love their husbands and raise their children for the Lord. I have yet to see where women has ordained rule over any man. …IN fact I see the direct opposite order given. Imo the real issue stems from our unbiblical practice and exaltation that only “ordains” male preachers for payroll taking the emphasis away from calling or work of the Spirit. Elders, deacons, deaconist, musicians, teachers, those in helps ministry, and yes janitor helps should be blessed in their order (ordained) to serve as God has outlined. We don’t do enough to recognize this work and order of service. Ellen White declared: “There are women who _should labor in the gospel ministry.” (Manuscript 43a, 1898). She said the Holy Spirit “prepares workers, _both men and _women, to become pastors.” (R&H Jan. 15, 1901; T6 p. 322) https://OrdinationTruth.wordpress.com/2015/02/16/politics/ gives a witty look at semantics and politics behind the upcoming vote at the GC. Holy crap you can’t write worth a damn. or the grammar issues… maybe a satirical piece to make the anti’s look back? If God intended for women to be ordained Jesus would have made it clear when he was here and Mrs. White would have been ordained, which she was NOT. Why does the church feel it always has to conform to the world and cannot stay where it was made to be originally. We have come so far from what Jesus set up with the disciples and from what was set up during Ellen White’s time when the Adventist church started. Who are we to change things now just because the world is changing. So next we will except gay marriage? I agree, we need to stick to the bible. We have too much of the world in us. Let’s get rid of organs and pianos, church buildings and PA systems. The treasurer was never mentioned in the NT, oh wait…anyways, we need to get rid of those hymnals full of songs not found in the bible or mentioned by EGW. What else is there that God didn’t make clear? Oh yes, we should probably bring back slavery since Paul was pretty clear on that. It is clear the SDA church is Babylon. What will we do, what will we do??? Aall these questions stem from the result of belittling the Spirit of Prophecy. Read her writings and you will be so inspired by the Holy Spirit not to join this rebellious move anymore. Except Mrs White was both ordained by God (her words) and issued ordained ministerial cards year after year, starting with the MI Conf (who would be the last to ordain a woman today, my how things change). Ordination isn’t even a Biblical concept. Its a piece of tradition hailed down throughout Christian history. The same reasoning for making drums and guitars “instruments of the devil” even the at one point the same was said of violins and organs (look at the history of music in the church) is used here. Just because its a “new” idea doesn’t mean its the work of the devil. Just because YOU don’t like it doesn’t mean its wrong. The Bible very much promotes EQUALITY for everyone. Paul mentions weird things about women not speaking in church so if we are to believe everything he said in the Bible LITERALLY then well church announcements should be done a little differently. However if we look at what he is really saying “there is no man, women, slave, free, rich, poor” maybe we can understand that a lot of what he talked about was situational for that particular time and what God really wanted was for equality for everyone. *Sigh* thoughts? So we should follow our traditions, because that is all it is? Perhaps the reason Jesus did not spell it out is that He thought humankind would be smart enough to know He did not put restrictions on who could do His work in a particular way. There are many things in the Bible that are not clear!! There are clear things like, “Thou Shall not kill” that is clear. There is nothing in the Bible that says “women should not be ordained.” You can have opinions and deductions from certain verses in the Bible that seem to point towards no ordination to women but once again it is not clear. In my opinion when something is not clear then you pray. We are nobody to tell people who God has called to stop being who God wants them to be or to not pursue something God wants them to pursue. People ignore culture but they shouldn’t. You could easily also say, well God must be in favor of polygamy since many of his chosen people had many wives. I frankly think this whole issue is ridiculous and God must be shaking his head seeing all of the arguing that goes on with this issue. God called prophetesses in the Bible days. He still calls women to minister today. What God has put together in ministry, let no man put asunder. Whatever happened to these men-Hazen Foss & William Foy? They could have founded the SDA church. The “good old boy” network is alive & well in the church. Have no fear!! See it in action in San Antonio. Woe is me!! as a former Adventist it’s sad to see the church bickering and losing sight of Jesus message in the new testament. His death fulfilled Gods plan of salvation and we don’t need to look backwards, we need to look forward to His coming and I think the bickering must make Him so sad. Either sad or amused. In matters of religion, everyone believes they are right — not realizing that they may be blind and misguided. Just look at how many denominations there are — and they all think they’re the true church. Sometimes God must get a righteous laugh out of our foolishness. Mansome’s words are an insult not just to Adventists but to the Gospel itself. But that’s not a surprise since “man” looks at things in a different way than God. I think for some Christians in general there is even a surprise at who Jesus was. According to the thinking of many fundamentalist Christians (especially men) Jesus should be this, “tough, non-holds barred” type of Savior. A “stormtrooper” Savior. A “manly” man, instead of “turn the other cheek” type. After all, that’s what American men respect… and why the movie about a killer/sniper is so popular among Christian men. It seems some follow the words but not the intent of the words, “Do unto others as you would have then do unto you.” Well, okay, they twist it a bit and think it says, “Do unto other BEFORE they do it to you.” In some circles I think some are surprised Jesus was born a JEW! Hope you see the connection here about how far we as Christians can separate ourselves from the truth of the Gospel and the miraculous ways in which God works…even through WOMEN! This women’s ordination thingy and the good ole boy thingy and the power and control thingy and the “Bible says this and that” thingy is all confused with the real issue thingy. And that would be that rock hard convictions of any worth cannot be wrought from what the Bible does not say. We cannot build theology from what was any more than the people of old should have built theologies on what would someday be. Culture is not the basis for theology. Furthermore, You cannot assume upon a passage what it does not say, and then use the passage to prove your assumption based on what you wish the passage said. The verse that says an Elder should be the husband of one wife saying anything about whether a woman should be ordained or not is a good case in point. If it does not really say it, then it is not really said. The grist for real theology is nothing less than a concise “Thus saith the Lord”. The Bible has to say it. Assumption thingies don’t count. 1) Only one tribe was chosen to have priests: Levi. All the other tribes could have prophets and spiritual leaders, but not priests. Should not the lineage of Jesus have come from Levi? Nope. God chose Judah. 2) Kings could be great leaders of the nation, but they should NEVER be priests. Uzziah is an example. He, king, went to the temple trying to act as a priest. God really did not like that. God chose men to be priests. 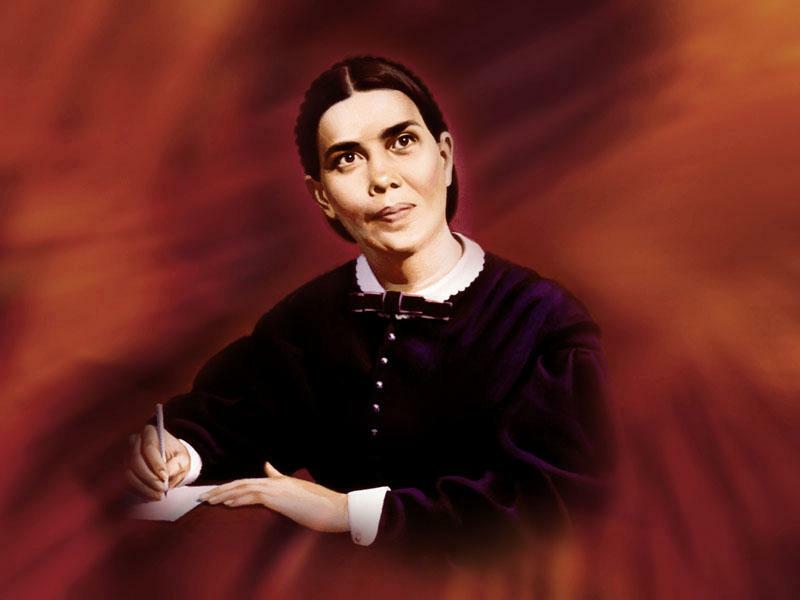 The fact of Ellen White was a prophetess does not change the fact that only men are priests. It is not about capacity, about gender, about equality: it is all about God’s ordinance. The problem is that, as Israel wanted a king to be like the other nations, the SDA Church today wants a queen, to become like other religions. You think female ministers will be worshiped like Mary? I think not. So then all pastors should be from the tribe of Levi. Fire the rest. Got it 🙂 It is that simple. Not that simple. Almost everyone in today’s modern culture carries an identifying mark from the tribe. Some have it on their pants, some on their shirts, vests, and other articles of clothing. And sometimes it’s impossible to distinguish which gender,if any, is actually wearing the mark. Whatever happened to the priesthood of all believers? Since when are only men priests? We all know the Levitical priesthood ended a long time ago. Hebrews 7:12. If it hadn’t Jesus Himself would not qualify to be our High Priest. Ephesians lists “pastor” among the spiritual gifts that God gives people and “prophet’ is in that same list and women are allowed to be prophets so what is the issue? Are there blue spiritual gifts and pink ones now? Pastor is not a church office, it’s a spiritual gift. The position of elder and deacon is a church office and it’s the only ones requiring a formal ordination. You do not need to be ordained to practice the spiritual gift God gave you. Men in church office should at least know the Scriptures. Some of the comments on here prove they don’t. They should be looking to learn the Scriptures before seeking to teach them…that way they wouldn’t teach the wrong thing. Half the problem is that the church has one foot in the Old Covenant and one in the New. They subject the members to requirements like tithing in order to keep the whole thing running like a business or franchise and it becomes more a ploy for employment creation than people honestly using the giftings God has endowed them with. In the Bible the church is asked to give freely, but not mandated to fixed tithes as the nation of Israel under the Old Covenant was; tithing to them was their national tax under the theocracy. Very few people, men included, understand these things. One of the things that really gets under my skin is when people use the Bible to support their un-Biblical position. The argument (from New Testament) that because Jesus didn’t pick a woman as one of the Apostles is ludicrous and shortsighted. Jesus didn’t pick a Nubian (Black man) either. Are we to assume that the absence of a black man prohibits the calling of an entire race into ministry? There were Spaniards and people of Oriental background in 1st Century Palestine, Jerusalem, and Judea. Are we to also assert that the absence of these races also prohibit them from ministry? The argument that a particular ‘issue’ is absent from the Scriptures doesn’t mean that God then excludes that issue from the future timeline and up into the present day. Just a response…surely I know this is a Satire site. The church is wasting a lot of time and money in trying to solve this thingy. An ordination certificate set on a table in the middle of a mud puddle, a 400ft. rope and the two opposing teams could put an end to all this controversy in short time. Women ordination candidates on one side, men candidates on the other and…go! God does not discriminate. “There is no longer Jew or Gentile, slave or free, male and female. For you are all one in Christ Jesus” (Galatians 3:28). “Even on My servants, both men and women, I will pour out My Spirit” (Acts 2:18). This whole issue is a diversion created by the enemy to distract the church from its mission. That is the proclaiming the soon return of Jesus. Lucino, this is a little too heavy for a site that is not heavily Adventist. So real arguments about real biblical issues will “barely” get a response. In my opinion, this article is “Barely Satire”. Because it’s so true, “only the names have been changed to protect the….” Guilty.